Do you think you know your jellies? I tend to keep my life private, yet here I open up quite a bit, It’s the safety of the internet. I lurve you guys. Do you think we really KNOW each other on here? You guys know I’m a bit of a perv, a Christian who loves my dog and full of wit. Is that the basics?? I know more about a small number of jellies than I do about most. I know less about some than I would like and much more about some than I need to know. I think I know some enough to know what kind of answers I’m going to get, serious or otherwise. To me, what I read here might or might not be real. One user was angry with me after we had shared several family anecdotes, and I answered a similar question about calling people online “friends”. People I know online only are contacts, not friends. My definition of “friend” seems to be a lot more restrictive than most. I have to meet someone face to face, or at least know someone who has met them, before I can call them friend. I’m pretty open on here. More so than I’m able to be at work (I teach). @jonsblond, you and the hubby should come up to Traverse City for a weekend. I thought this would be a throw back to the thread where we had to write something we know about the jelly who posted above us! As for you @jazmina88 I do feel like I know you a bit better then I did prior to clicking on this thread. 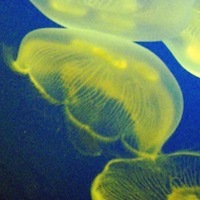 I am guessing that there are a few jellies who know me fairly well and whom I know pretty well. @Pied_Pfeffer awesome!! Piano players are my idols! @jjmah I used to teach as well. You cant be totally real there. I don’t like to say I really know people. I thought I knew my best friend from preschool. I haven’t seen her in 2 years, & we haven’t spoken in about a year. Yet, she stole my poetry & claimed it as her own work. She dated an ex-boyfriend of mine, & dumped him the next day when she found out he’d gone out with me. She’s also a dropout, a crackhead, & addicted to antidepressants. I think of myself as a better judge of charaacter now, but you never know. And I haven’t been betrayed by anyone on here yet. Online, I’m as open as I am anywhere else. I have nothing to be ashamed of. It’s odd. I feel like I have opened up more of my life to people on fluther than I have in real life, so I get where you are coming from. I consider many here friends, even though we haven’t met, and I really don’t keep track of what people here have said. I would have a hard time listing those who have been divorced, molested, are gay, unemployed, younger, older, or Christian or Atheist. I have a very bad memory, so if I haven’t interacted with someone in some time, I usually forget what I know, anyway. It’s kind of embarrassing in real life, because, while most people have trouble with names, I can almost never remember a name. When people tell me about themselves, it soon turns into a blur in my mind, and I can’t sort out one person from another. On the one, this is good, because everything is always new to me. On the other hand, it’s bad, because I’m always asking people the same questions over and over. I know a good deal of information about people, based on what they’ve shared here on Fluther. I only minimally understand their characters. But it is fun to learn about people, even if you don’t know them very well. I think people feel confident in that what I say here is exactly what I believe – flutherites who are friends with me on facebook understand this first hand. I get a sense for who people are the more I read their questions and answers. Some are more open than others therefore I know a bit more about them. I share information here that I am comfortable in sharing. I keep most personal information private but have allowed a few jellies to know a little more. I’ve learned some people will break the rules to find out what they can about someone’s personal lives. It taught me a lot. I share much more about myself online than I do in real life. In the “real” world, I’m almost totally isolated. I’ve never been a social butterfly but, after my lady’s death, I’ve made myself almost a hermit. I’m uncomfortable in F2F conversation, so the online format is ideal for me; I set the size of “personal space” around me unilaterally. My experience on another site taught me to set my boundaries more conservatively; also about the benefits of firewalls and proxy servers. @free_fallin What do you mean “break the rules”? @anartist Some people will do searches on people—the kind you can buy. Criminal records, fines, job history, whatever. It has not happened to me to that depth, but I have been stalked, which is creepy. I will share a lot, but not stuff that could identify me in the real world. @envidula61 do you think it was a Fluther person? @envidula61 You’re not alone. It’s happened to me also. Fortunately, cyber-stalkers can’t harm me because I do no financial transactions or business on the internet. All they can do is irritate me. @stranger_in_a_strange_land Can you give/show me an example of an irritating stalker? What do they do? Also on fluther? Do they PM nasty things? @zenele They don’t have to be on Fluther in order to stalk, although I get nasties from newbies who rapidly disappear. Now what I mostly get is stuff e-mailed to an address that would be too much of a hassle to delete. I check that account about once a week, after taking a sedative. Just a nuisance, but some of the things said hit rather close to home. @stranger_in_a_strange_land I just can’t imagine why anybody would do it. Mad at something you said? Enough to track down an obscure email of yours? Mightn’t it be somebody closer to home? We laugh and we argue and we offer suggestions and joke about but our Fluther cyber-relationships are not on the gut level of physical real-world friendships. Meh, kinda, but who knows? @anartist It’s a long story, basically bad feelings over an episode on another site. Some people like to hold grudges, even those based on nothing but rumor. It’s unlikely to be anyone I know F2F, as no one knows me well enough to have strong feeling one way or another. I’m not so active on fluther as I was on a previous site so I’ve not gotten to know anyone new here in person like I did several there. You never know. The personalities I know here are either a carryover from the previous site or from when I was able to chat in Campfire, I miss that. @stranger_in_a_strange_land I know a gamer who is like that. She got kicked off a game she liked, because a fellow gamer reported her for rule violations. She continues to flame the user by e-mail and on other sites. She keeps getting herself kicked off moderated sites for it, but can’t seem to stop. She seems to be one of those people who can’t follow the rules. Off topic, but has to do with ^. They just arrested this guy that had called 911 moer than 10,000 times over a period of three months – called, and hung up. 10,000 times! Do the math. There are some sick people out there, who are bored and vengeful. Do you find it really tough (almost impossible) to keep in touch with people who do not use email and/or social networking sites? Do you feel close with people online? why? How can i tell which friends are real?